Make The Most Of Your Spare Room With These Tips! Have you got a spare room at home? Make The Most Of Your Spare Room With These Tips! It is probably time to use it, don’t you think? Most people’s spare rooms usually just end up being used for a lot of things that’s just not right. Before, I used the spare room as “storage” for all the clutter that I didn’t want anybody else to see. However, I was de-cluttering the spare room the other day and realized that there could be so much more to that room. All I need is to work a bit of imagination into it and turn it into something special. You know, I’ve always wanted a walk-in closet, or a place to reading nook. Or maybe, a quite office where I can write in peace. I am not quite sure yet what to do with the spare room, but I have a few ideas in mind. Listed below are some of those ideas. I have decided to share these with you so you can get a few simple ideas for how to transform your spare room into your new favorite room in the house. A walk-in closet – I’ve mentioned above that a walk-in closet has always been a dream of mine. This is a great idea for those of you whose wardrobe is already bursting at the seems. Have you ever noticed how your shoes seem to be piling up every month? It might be time to turn the spare room into a walk-in closet! A home workshop – if you are one who enjoy a bit of hands-on work, you can turn the spare room into a workshop. You can get a whole lot more of space with your very own workshop. This way, you can get creative whenever the mood strikes. An art studio – art is one of the best things in life. And if you are somebody who enjoy being creative, this is the perfect transformation. You will need good lighting, a quite room, and somewhere to store all of your art materials. A music room – this one is for those who enjoy music. You can set up a piano, a few guitars on the wall, maybe a set of drums, or whatever instrument you play. You can even go all out and set up a jukebox in the corner. Just make sure you put some sofas so your guests can sit. A library – this is my personal favorite. I have always wanted a quite place to read. And turning the spare room into my personal library isn’t such a bad idea. 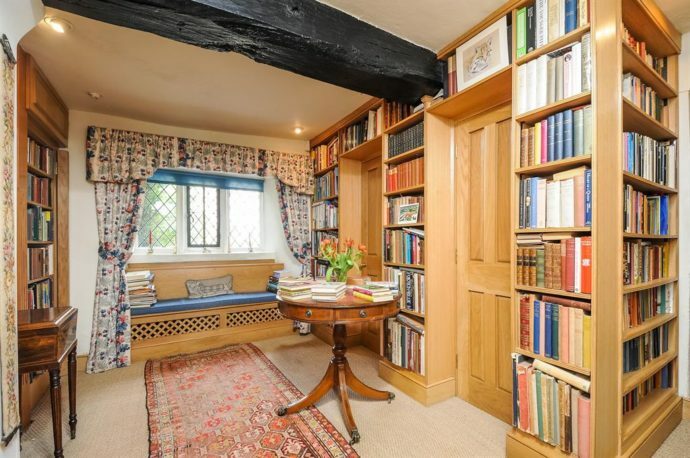 A window seat on the corner, books stacked up from wall to wall, a good lighting… what could be better? A pantry – this one is for those who loves to cook. Your own personal pantry will help you free some space in your kitchen, and store some more cupboard essentials. A game room – this is also one of my favorites. Nothing screams a perfect weekend than one being spent in the game room. You can turn it into your own personal arcade. Set up a few video games, maybe even a pool table, and loads of cushion to seat on. A home gym – it’s probably time to get serious about fitness, don’t you think? Whether you love going to the gym or not, a home gym will definitely help you get fit and healthy. If you hate the long trip to the gym, this is the perfect idea. You do not need top-end equipment, either. Just a few workout mats, a set of weights, a treadmill and you’re good to go. Which one is your favorite so far? Let us know if you have more suggestions! Comment them down below.